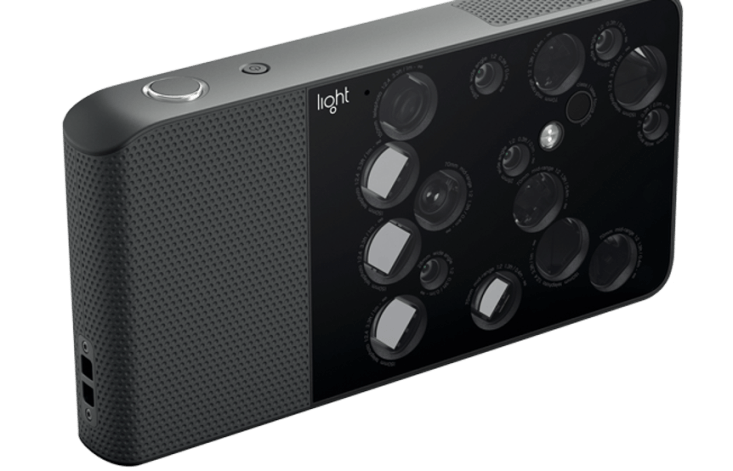 A few days ago the company Light showed a prototype phone with nine cameras. It is not the first time that this company did something like this, they already been showing its semi-professional camera with 16 objectives and that it exceeds 2,000 euro in price. Despite the spectacularity of the announcement we must not forget that the Huawei P20 Pro already includes four cameras, including the front. So it seems that the old war to provide more megapixels to the cameras, which by the way some manufacturers like Oppo continue to feed, we will shortly go to war to equip phones with more and more cameras. Do not forget that there are many models that have three cameras, including the front. Even relatively cheap terminals. Many of the dual cameras, especially in the mid-range models, have a debatable utility. They simply seek to blur the background behind a subject with more or less good fortune. Here the algorithms that each manufacturer is able to introduce in their image processors play a relevant role. Something that certainly requires investment in refined software, something that not all companies can afford. Huawei did something quite interesting with the Huawei P20 Pro. It used virtually all the tools that are currently available to manufacturers to improve the way of capturing photos: introduced a large sensor in one of the 40 megapixel rear camera to achieve through Computational photography results similar to those achieved by the PureView technology of the Nokia 1020. This basically worked adding the information of the more than 40 megapixels that equipped this old Nokia to obtain a digital zoom without loss of quality and images with little noise even in low light. For this the resolution was reduced to five megapixels, so that each of the pixels in the image had information about four pixels of the sensor. Something similar to what Huawei has done, although the Chinese company has added to the equation a monochrome sensor of 20 megapixels. This second sensor crosses the information it captures with the principal and the information is processed by software at a dizzying speed. In this way, high quality images are achieved in low light situations. Something that also contributes the brightness of its objectives, f/1.8 and f/1.6. As if that were not enough Huawei added an eight megapixel telephoto with three magnifications. With all this paraphernalia and many doses of computational photography, for which it is necessary to have a very sophisticated software and a hardware that allows to process at high speed the images, they achieved a surprising capacity to achieve images with quality zoom and in low-light situations. Can be improved as it has reached Huawei with the P20 Pro by adding more cameras? Yes, but it is not as simple as adding cameras without to or to mobile phones. Although we are also afraid that it is possible, for reasons of publicity that this will begin to happen as soon as the battle for adding cameras is unleashed. There are already rumors that Samsung may be thinking of launching the Galaxy S10 with five cameras, two front, and three rear, and that LG may have similar plans. We’ll see what all this is, but it seems likely that phones with three or four rear cameras can start arriving throughout the year. If you exceed the limit of the three rear cameras to optimize things like selective focus on portraits or other scenes, improve noise in low light, achieve a wider zoom level, improve the dynamic range to increase the capacity of show details in the darkest and clearest areas of the image, or increase the resolution of the images without losing quality, it will be necessary not only to add cameras with sensors and quality objectives to the smartphones. There are other important challenges. The main one is to make the computational photography processing algorithms are very efficient. Something in which to date sends Google, Apple, Huawei and Samsung. But above all the first company, which has shown with its Pixel 2 phones that neither the dual cameras are necessary to achieve high quality photos. There is also the challenge of achieving high-speed hardware and low energy consumption. If we add nine cameras to a phone, as Light suggests in its prototype, the battery consumption can be spectacular. So that case will have to be treated with great care. It is true that the use of several cameras and sophisticated computational photography algorithms to merge the images captured by all of them opens an exciting field. But it also seems certain that manufacturers will take time to refine these image capture systems. We will see what this new leap in the industry holds.